What an amazing week it was at this year’s Apple WWDC, which returned to San Jose, California. 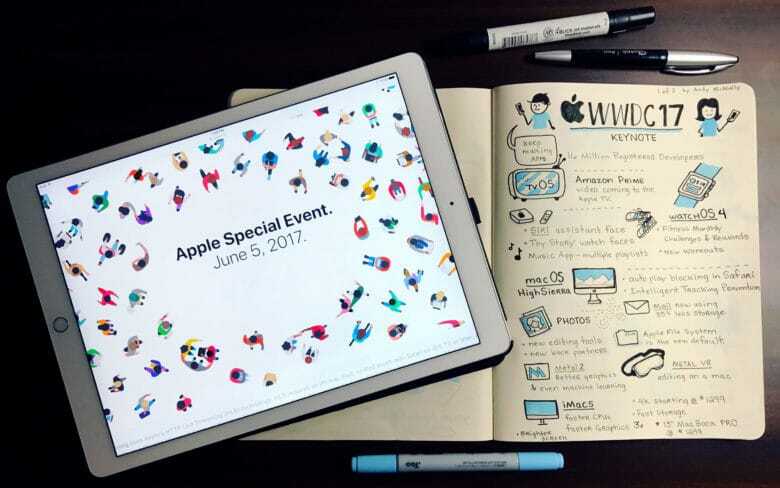 It was a week packed with events, announcements, developers, Apple Fans, and sketchnotes. 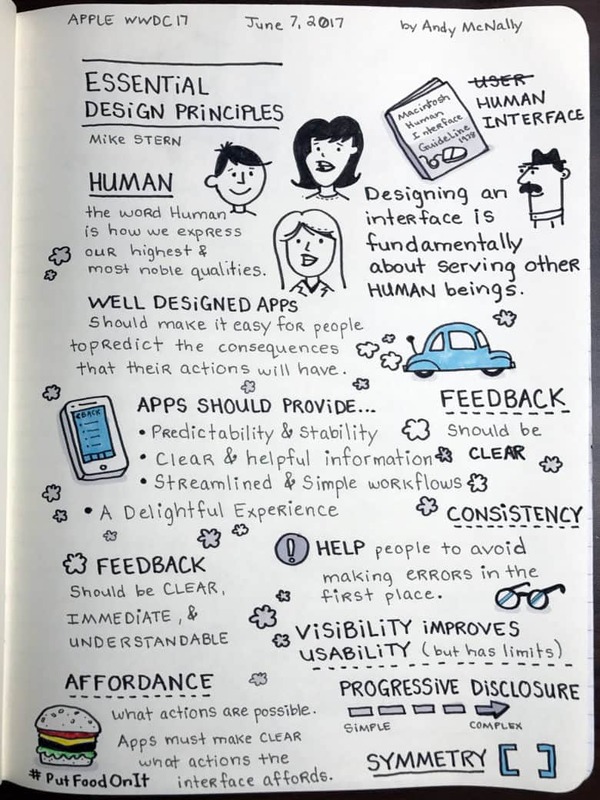 Take a look back at the week in sketchnotes. 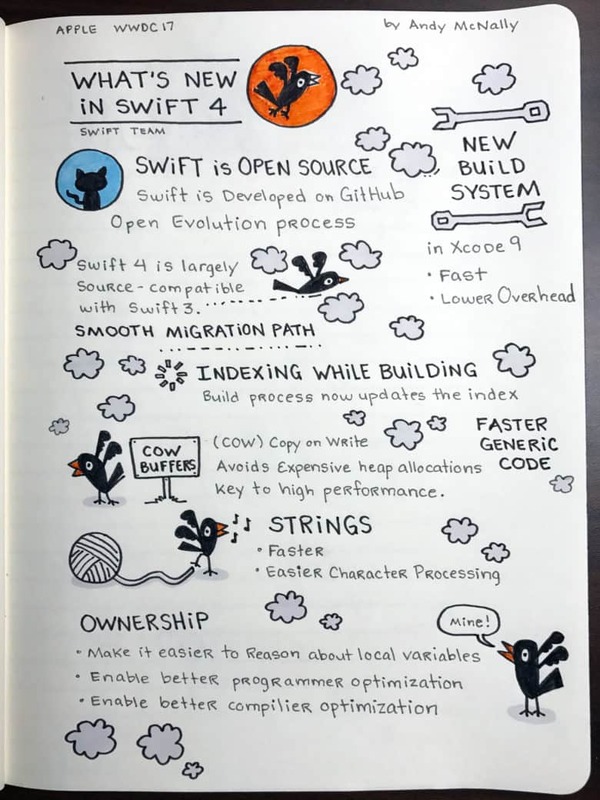 Here's the latest on Swift 4, the latest version of Apple's programming language, done up in sketchnotes. 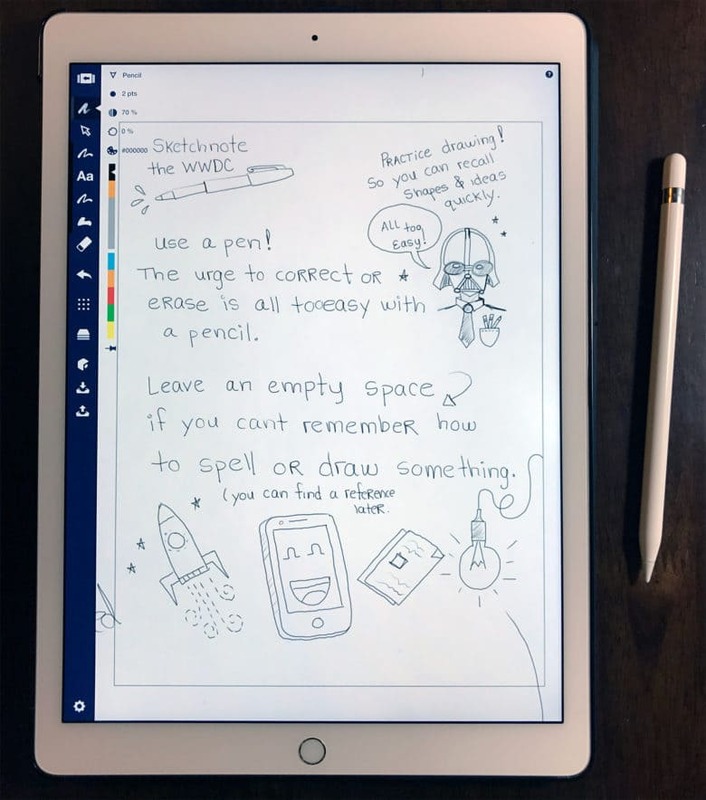 On Tuesday, Apple gave one of it’s most important presentations of the week: the new version of Swift, it’s popular multi-platform programming language. It was a big session because it gave all of the developers at WWDC a quick overview of the new features and pointed them to sessions that dove deeper on certain topics. Above is my sketchnote from the session. I always feel over my head in the Swift talks, but I feel like the improvements will make Swift more accessible to developers like me, who are just getting started. 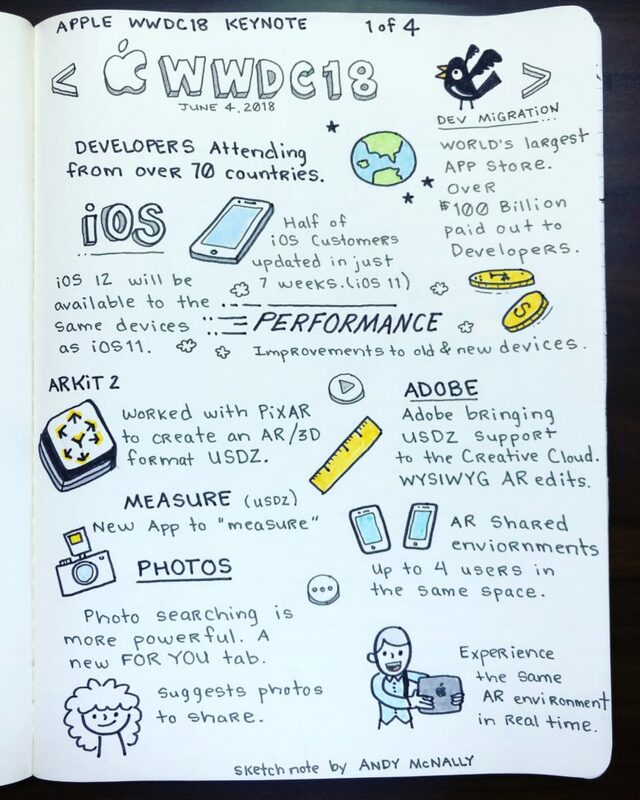 All this week, illustrator and senior UX/UI designer Andy McNally will be sketchnoting Apple’s Worldwide Developers Conference for us. 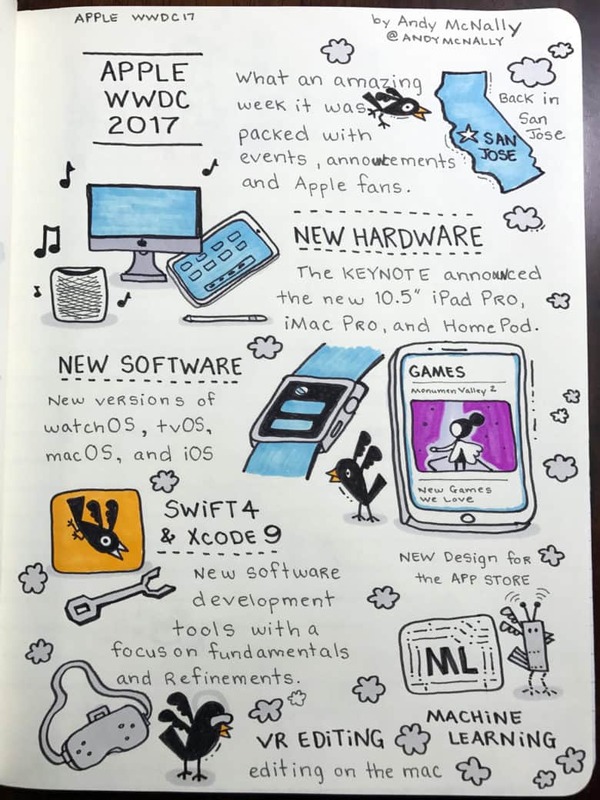 My markers and pens worked overtime to capture all of the news and announcements in this year’s WWDC keynote. I captured three pages of notes on watchOS 4, macOS HighSierra, the iMac Pro, the new 10.5 inch iPad Pro, and iOS 11. The artist in me is excited about trying out the new iPad Pro to test the improved Apple Pencil latency. You can check out all of Apple’s announcements and details here. Are you ready for Apple's annual developer conference? 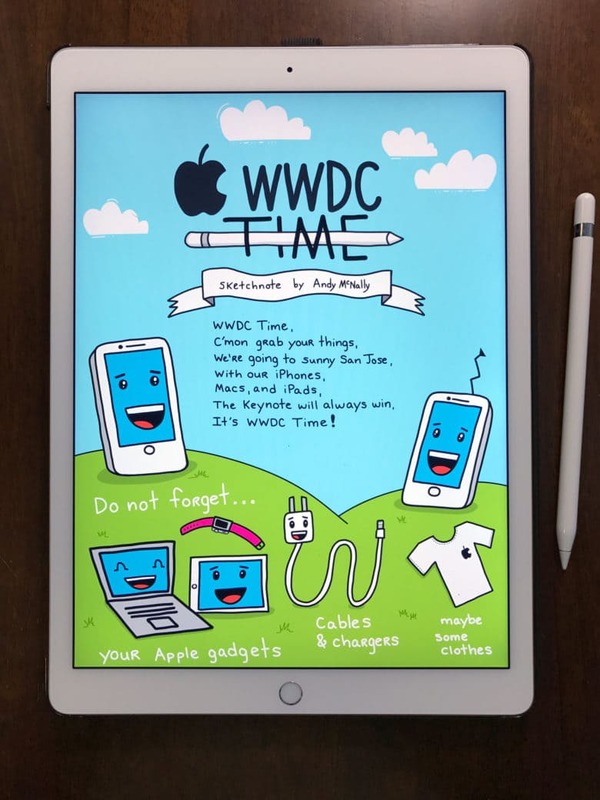 All next week, illustrator and senior UX/UI designer Andy McNally will be sketchnoting Apple’s Worldwide Developers Conference for us, starting with the big keynote on Monday. It is time to get ready for the 2017 WWDC. What should I pack? What pens should I bring? OK, maybe I’m the only one who has to think about what pens and colored markers I need to bring. However, it is critical to remember all of the chargers and cables for our Apple devices.